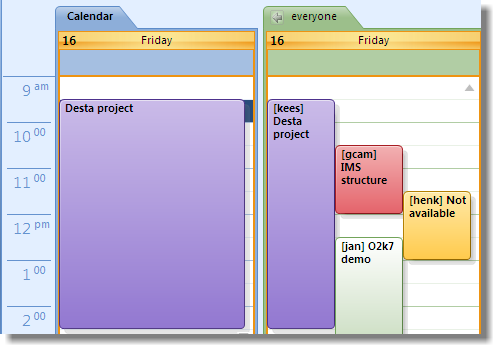 Create one or many groupcalendars with different teams or team combinations per group calendar.Plan company wide events that users can not delete, have a central category and color schema, create item in mobile calendar for other user's mobile calendar. Out of office and vacation schedules. Hide private info. Bundle resource calendars to one.